In the cul-de-sac there were about 20 children. We played mostly in the street (isn’t it strange but I cannot remember ever being invited into any of their houses) - football with a tennis ball, (making use of the curbs to outwit the opposition), hide-and-seek (using the shrubberies and the front gates of houses), hopscotch (either on the slabs of the pavement or chalked in the road), skipping with long ropes for the girls (two or more in the rope together). Marbles could be played very well in the gutters where the concrete curbs acted like the cushions of a billiard table (there were two sizes of marbles, weren’t there?). Whips and tops was played by both sexes (when did this game die out?). Hoops were only for the wealthy. Crazes struck the children of the estate at different times and about twice a year it would be aeroplanes and darts made from newspaper. The street lamp at the end of the close attracted us all at night and was ‘home’ in games of catch. The din must have been pretty bad at times and I can remember being called in for bed or being told off by neighbours. My other activity was riding my tricycle, which I did endlessly round the pavement and back. The trike I remember well. Auntie bought it. We would meet her at Morden Station on her visits from Soho and walk home along St Helier Avenue. We would call in at the toyshop and pay a few pence on the card and finally we got this trike. It didn’t have a chain; only rich folk had those. It was black with a leather saddle, had pedals on the front wheel and a bar on the back for a passenger to stand, hands on the driver’s shoulders. One lad was doing this when I hit a brick and he went over the top, getting a large lump on his forehead. I can’t think that Auntie bought it just for me but I don’t believe my sisters got much of a turn as I spent most of my life on it until I went to school. Every now and again we would have a ‘fair’. You would set up some sort of ‘stall’ with a competitive game; entrance fee and winnings were in ‘fag cards’, the picture cards to be found in every packet of cigarettes (or ‘fags’). A popular sport was flicking cards to try and cover up some already lying on the pavement, like the real fairground game of rolling pennies. The whole of the pavements would be filled with pitches and kids would come from neighbouring streets. The noise usually brought things to a halt. 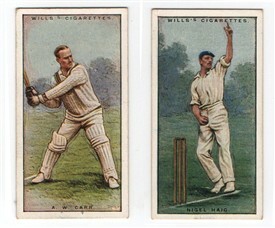 Fag Cards were part of one’s education. You got some from your Dad if he smoked, and he would try to get some from his mates at work. You frequented bus stops, littered with empty packets, to see if any had been left inside. If your Dad was a bus conductor you did very well. When the men came home from work and jumped off their bus they would be met by a crowd of children shouting, “Got any fag cards, mister?” You swapped them, you traded them for marbles, you became desperate when you only wanted one or two to complete your set. Together with marbles, they were the currency of the streets. The cards I collected are vivid images of childhood. I can still picture Ames and Gover on the cricketers set, the King’s Champion on the Coronation cards of 1938, film stars, flags of the nations (rather dull), Butterflies, Mammals, Kings and Queens of England. I first visited the National Portrait Gallery when I was doing my National Service and on weekend leave. 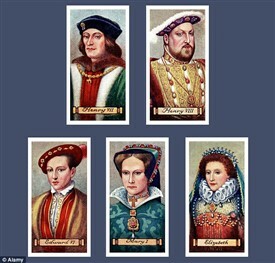 To my great surprise I’d seen most of the Royal portraits before - they were the ‘fag cards’ that I’d collected all those years before. 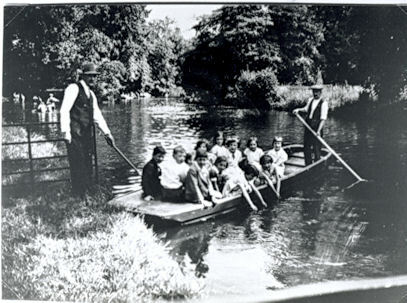 In school holidays we would go fishing for tiddlers with a jam jar and a net made of curtain. The Wandle had sticklebacks and ‘redthroats’ in the breeding season. When bigger we went ‘dragging’ with an old sack under the reeds on ponds at Mitcham and Beddington (One Island and Three Islands) and you could come up with a small roach or even a pike. As we approached the age of ten, scooters made of wooden planks with ball bearing wheels were all the rage. 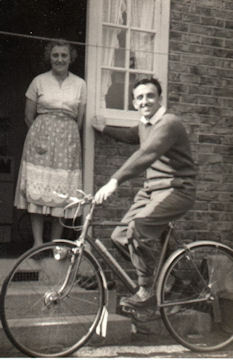 Dad was not a natural handyman but by persistence I got one in the end. The noise they made over the joints in the paving slabs was another source of annoyance to adults, especially when you got a squadron of nearly twenty going past. 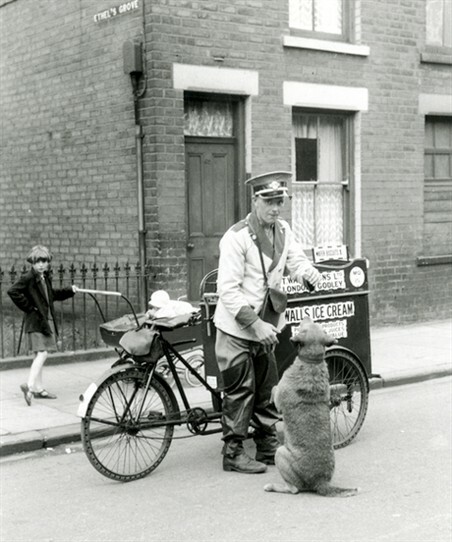 Chasing games were always popular, either around the cul-de-sac or further afield around the streets at night. The best place was Ravensbury Park with its trees and bushes. It was there during the summer holidays of 1940 that the war really began for me. We were playing in the middle of the big field. No air raid siren had sounded. But suddenly the air was full of wheeling fighter planes and the sound of machine-gun fire. There was the crump of bombs from the Croydon direction. And then everything went quiet. We ran home at great speed and after that the air attacks of the Battle of Britain occurred almost daily. This page was added by Ken Whiteman on 03/06/2015.